A heart attack is the point that is too late. You may survive it. You may return to your normal activities within a few weeks. You may go on to live till a ripe old age. But you would want to avoid a heart attack at any cost. Many heart attack patients will tell you that life changes after the event, not just physically but also mentally and emotionally. No matter which way you look at it, prevention is better than cure and it is no different for a heart attack. But it is not always entirely within your hands. A heart attack can occur without any previous symptoms. It can occur even if you have normal blood cholesterol levels and blood pressure. It can occur even if you are young and have no family history of cardiovascular diseases. But this is rare. 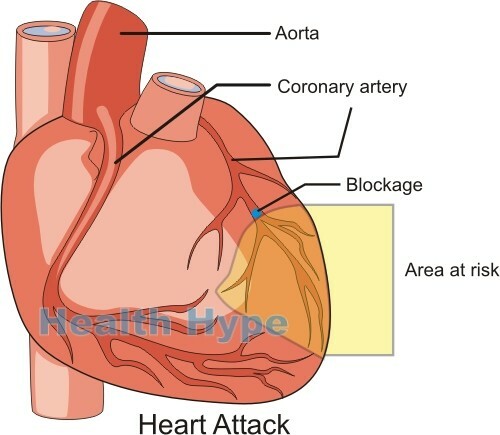 In the vast majority of heart attack patients, there was some indication somewhere or other of an impending heart attack or that a person should be considered at high risk of cardiovascular diseases. 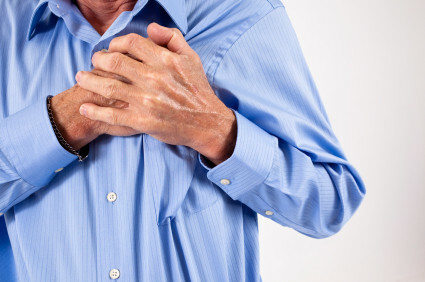 What are the signs of an impeding heart attack? Most people just do not know how to spot these subtle signs of an impending heart attack. It can even be missed by a doctor. A heart attack is where a portion of your heart muscle dies (myocardial infarction) due to insufficient oxygen. It is most commonly a consequence of coronary artery disease where there is narrowing of the arteries supplying blood to your heart wall. Eventually these narrowed arteries may get completely blocked and within minutes to hours the affected portion of the heart muscle dies. But do not expect the typical symptoms – gripping your chest, writhing in pain, falling to the floor and gasping for air. In many instances patients experience what is referred to as a silent heart attack. They do not even know that they had a heart attack until it is diagnosed by routine screening or a few minors symptoms leads them to seek medical attention. However, reflecting back on the months before a heart attack, many patients realize that the signs were staring them in the face and they never gave it a second thought. As the blood supply to the heart muscle is compromised, there may be episodes of chest pain. This temporary cardiac chest pain is known as angina pectoris. It usually arises with physical, mental or emotional stress and eases with rest. Angina pectoris is said to be a crushing or suffocating chest pain. Often the pain extends to the left arm, neck or jaw. It is not necessarily a sign of a heart attack that is underway. These episodes can occur for months or years before a heart attack eventually happens. While it may occur with other symptoms like dizziness, angina may also arise on its own with no other symptoms. The fact that it can ease even without medication can be misleading – it is a very serious symptom and may be prelude to a heart attack. Fatigue is a normal part of life – it is a result of sustained physical and mental activity or emotional stress. Fatigue is not just a matter of feeling tired. It is extreme tiredness. While we all may experience fatigue at some point, it usually correlates with very stressful periods. When fatigue occurs even if you had a relatively restful day then it could be a sign of a heart problem. It is largely associated with your heart not pumping optimally and oxygen not being circulated as it should. There may also be other accompanying symptoms like shortness of breath with slight physical activity that was otherwise not a problem in the past. In more severe instances, a person may experience difficulty breathing while at rest. The brain is need of a constant supply of oxygenated blood. It is the most oxygen-sensitive organ of the body and even a slight change of oxygen supply for just a few seconds will lead to symptoms. The main symptom associated with low oxygen levels to the brain is dizziness. When severe, it can even lead to fainting. Episodes of dizziness may occur for months or even years before a heart attack occurs. As the heart it is strained, it does not circulate the oxygen-rich blood adequately. There may also be sudden episodes of nausea for no known reason. Like with dizziness and chest pain, the nausea may ease on its own without any treatment. Sometimes the nausea may be severe enough to lead to vomiting. Perspiration is a normal physiological response to cool down the body when the core temperature rises. Naturally we sweat on a hot day or when we are physically active. Sweating can also occur in response to emotions. Sudden episodes of excessive sweating that does not correlate with environmental temperature, physical activity or emotional state could be a sign of a heart problem. Its not about being free of sweat when its hot or when you are exercising. This is normal but these conditions can also strain your heart. Instead it is about noticing uncharacteristic and excessive sweating in these conditions or even when you are at rest. Some people naturally sweat more than others but any change should be taken seriously if you are considered at high risk of having a heart attack. One of the common complaints of heart attack patients who did not know that they had a heart problem is a long period of persistent heartburn that was not easily relieved with antacids. While it could have been due to acid reflux for all this time, a burning chest pain could actually have been cardiac pain that is not typical in nature. Angina pectoris can vary from chest discomfort to pain and while it is said to be typically crushing in nature, this is not always the case. It may be mistaken for heartburn or indigestion but one characteristic feature is that antacids do not relieve it. Normally antacids give at least some relief for acid reflux related heartburn even if it does not resolve it entirely. But with cardiac pain, antacids have no effect. Even if you do not have any symptoms, a routine cardiovascular examination is one of the best ways to detect a cardiac problem early. 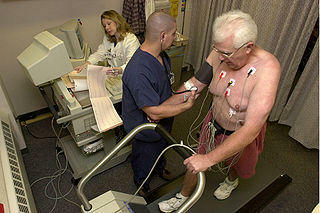 A stress ECG test is one of the more common heart tests that is done to screen patients with cardiac problems. It is an effective tool for diagnosing coronary artery disease (narrowing of the artery supplying the heart wall) and myocardial ischemia (where the heart muscle does not get enough blood) before a heart attack strikes. Your doctor will instruct you to walk/run on a treadmill or pedal on a stationary bike while monitoring the electrical activity of your heart. The physical activity should strain the heart to a slight degree which is electronically detectable. But sometimes a stress ECG can miss underlying heart problems so the result should not be the only consideration when assessing your risk profile. Hypertension (high blood pressure) is one of the common cardiovascular conditions. These days it often arises by the 40s and sometimes may start even earlier in life. Most cases of hypertension are not due to any identifiable disease. Therefore it is known as primary hypertension. Persistent elevation of the blood pressure can cause damage to the walls of the arteries which contributes to fatty plaque buildup (atherosclerosis). Narrowing of the coronary artery by these plaques is one of the main causes of a heart attack. If you have a history of blood pressure, you are considered at risk of a heart attack even if you do not have any other risk factors or symptoms. High blood pressure can be effectively managed with medication and antihypertensive drugs should always be used as prescribed by a doctor. High cholesterol levels is another major contributing factor to a heart attack. It increases the chances of fatty plaques building up in your artery wall. Treating high blood cholesterol as early as possible is therefore very important. You may not have any symptoms but eventually the arteries will narrow and eventually culminate in serious cardiovascular events like a heart attack or stroke. Raised blood cholesterol levels on its own, even if you do not have hypertension and your body weight is normal, increases your risk of having a heart attack. Therefore you blood cholesterol levels need to be checked regularly and treated immediately if it is raised. Statins are one type of drug to treat high blood cholesterol levels and should be used on a long term basis in order to reduce the risk of a heart attack. If you have signs and symptoms of coronary artery disease or certain other cardiac problems, your doctor may recommend that you have additional tests like a coronary angiogram. 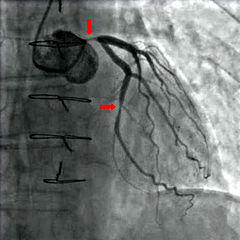 Here the blood flow of the arteries are mapped through the use of a special contrast dye and scans. A narrowed coronary artery means that you are at risk of a heart attack. The more severe the narrowing the more likely the chance that you will have a heart attack sooner. But even a slight narrowing means that you are at risk. The plaques that cause the narrowing can suddenly rupture and a blood clot forms at the site. This can completely block the artery within minutes to hours and lead to a heart attack. Consider yourself at risk the moment your doctor informs you that the coronary artery is narrowed, no matter how minor, and follow the necessary treatment that is prescribed. Even if you have no symptoms, no family history of heart disease and your blood cholesterol levels and blood pressure are normal, you are not entirely in the clear for a heart attack in the future. Not all heart attacks are due to coronary artery disease – there are other ways in which your heart muscle may be compromised and die. But more importantly, there are certain factors that means your risk of a heart attack is high even if you have been given the all clear recently. Getting older, being overweight or obese, living a sedentary life and cigarette smoking are among the main risk factors. While you cannot change your age, all other risk factors can be modified. Speak to your doctor before you undertake any exercise or weight loss program. Simple measures can change your risk profile within a few weeks to months.